There are many things which can help us make healthier choices when we are buying food, whether we are doing our shopping or eating out. This module focuses on the help available to achieve a healthy diet, including nutrition labels and schemes designed to help retailers and caterers make their offering healthier. Be able to broadly translate the Eatwell Guide messages into a week’s healthy food intake. Know what support is available to help everyone make good choices about food and drink. Nutrition labels provide information on the nutrient content of foods and drinks. By law, most pre-packed foods and drinks in the UK must provide nutrition information on the back or side of pack. These labels should display the energy, total fat, saturated fat, carbohydrate, sugars, protein and salt content per 100g/ml of the product. Most pre-packaged foods also display nutrition information on the front of pack, though this is not mandatory and is done on a voluntary basis. Front of pack nutrition labels are colour coded and can help you see at a glance whether a product is high (red), medium (amber) or low (green) in fats, sugar and salt. This makes it easier to identify and choose healthier products. Many of the foods with front of pack labelling that you see in the shops will have a mixture of red, amber and greens. So, when you’re choosing between similar products, try to go for more greens and ambers, and fewer reds. Smaller retailers can also take part in the Scottish Grocers Federation healthy living programme, which aims to support stores to highlight, increase and promote healthier products - mainly fruit and vegetables. Also included in the scheme are products such as water, milk and sugar free drinks and healthier cereals, rice and pasta. People in Scotland eat out and on the go around 177 times each year, which is more often than in many other European countries. Many of the popular choices when eating outside the home are also high in energy (calories), fats, sugar and salt including, chips, burgers, cakes, biscuits and pastries and sugary drinks. 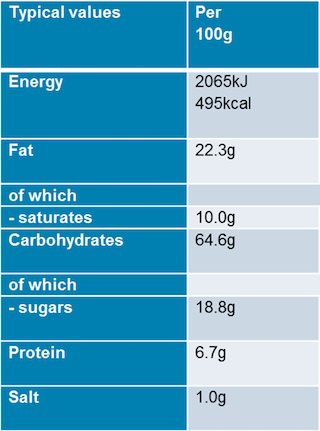 Calorie labelling: some establishments provide calorie information for their menus, either in shops or online, and can help you make healthier choices. Compare the calorie content of meals with how many calories you need each day (around 2,000 for the average woman, and 2,500 for the average male). Nutrition labels: nutrition information on the front and back of pack of pre-packaged foods can help you identify healthier choices. healthyliving award: look out for the healthyliving award when you eat out. The award is delivered by NHS Health Scotland and is given to establishments who make it easier for customers to eat healthily. Establishments can also apply for the healthyliving award plus, which is a higher level of award demonstrating a greater commitment to supporting healthier eating. 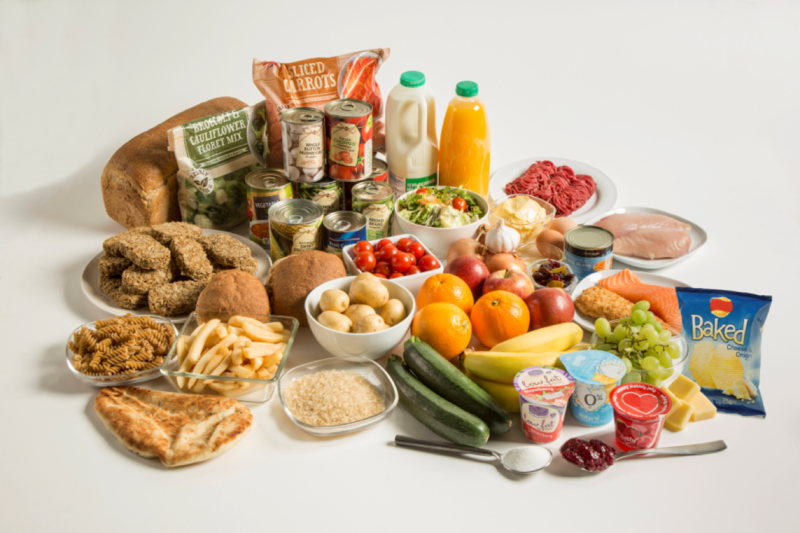 Weekly shopping should aim to reflect the balance and types of foods in the Eatwell Guide. Nutrition information displayed on the front and back of pack can help to identify healthier choices. Calorie and nutrition information on menu boards or online can help to choose healthier options when eating out. Look out for the Scottish Grocer’s Federation healthy living programme and the healthyliving award, as they can help in making healthier choices when shopping or eating out. Answer the questions below to see what you've learned and to complete module 3. The healthyliving award is for athletes. No caterers display calorie information. People in Scotland eat out and on the go more often than many other European countries. Most of the popular choices when eating outside the home are healthy. Front of pack nutrition labels show how much the product costs. No products display nutrition information on the back of pack. Front of pack nutrition labels use colour coding to provide information on the nutrient content of the product. You completed Module 3 – complete all modules to progress.